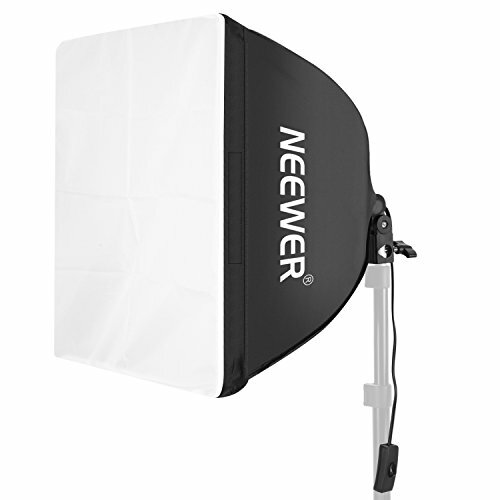 Neewer 40 x 40cm Studio Photo Soft Box creates even and diffused light by directing light through the inner aluminized fabric surface act as an efficient reflector. It is ideal for general photography including portraits, group shots, glamour and product photography. With E27 socket, you can directly connect light bulbs, fluorescent lamps, or slave flash to offer the light.